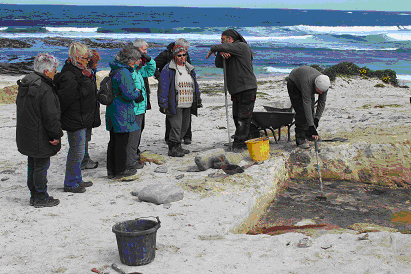 To contact the Archaeology Group : Delian Backhouse Fry – email delianfry(at)hotmail.com or Tel: 01983 853292. The Isle of Wight offers a wealth of archaeology to be explored and we welcome both experienced archaeologists and beginners to share in a wide range of activities. Existing skills and knowledge are valued but we are also happy to support members as they take their first steps into the fascinating world of archaeology. The annual programme includes talks, walks, visits, workshops and practical activities on local, national and international topics. An enthusiastic group of about 16 members also meets informally for fieldwork, usually on Wednesday mornings. For updates check the ‘Section News’ on this page. Wednesday plans often have to be made or changed at short notice, especially in the event of bad weather, so please check the site on Tuesday evening or Wednesday morning. Typical activities are small excavations, fieldwalking, investigating crop marks, monitoring coastal sites and geophysics. The study of this Mesolithic site beneath the Solent by The Maritime Archaeology Trust is now recognised as being of national, if not international, importance. Our land-based support work has helped uncover some fascinating evidence, such as worked flints and wood, nuts and seeds, charcoal and burnt flints thus providing a picture of life 8,000 years ago before the Isle of Wight became separated from the mainland. 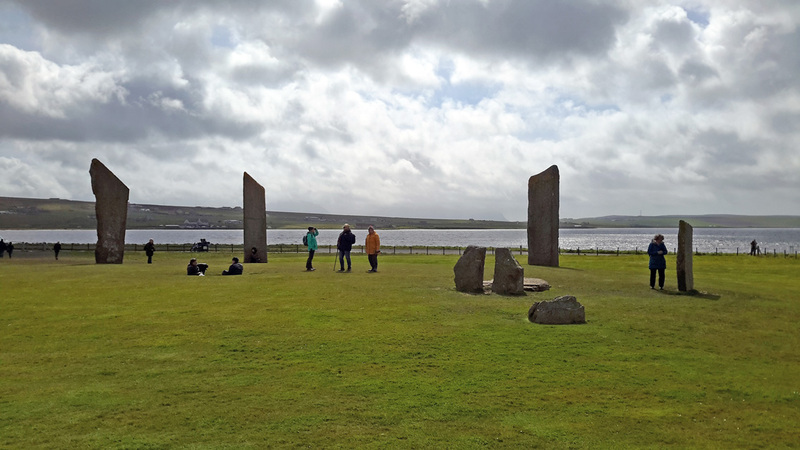 Nine of the group spent 8 fantastic days based in Kirkwall under the care of local archaeologist Caroline Wickham-Jones. As well as visiting sites on Mainland we went by boat to Rousay and Westray and saw sites where Caroline herself has worked.